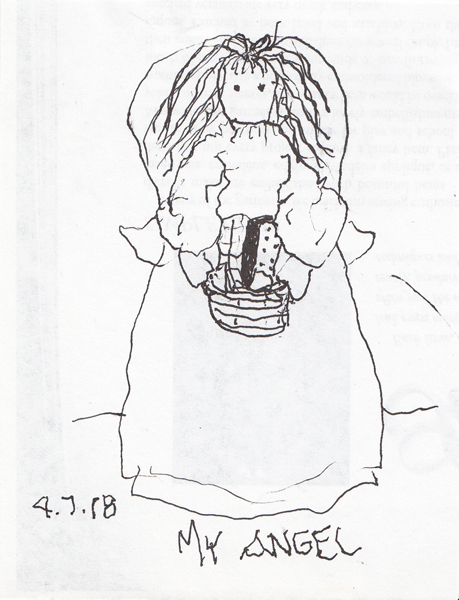 I sketched this angel from a wonderful fabric angel, carrying a gift basket. I was given her many years ago by a special friend. On Friday my hand surgeon told me I may still need an operation on my wrist, and he wants to see more Xrays this week. I'm hoping for the best. Yesterday I went to draw at a Museum for the first time since my injury. 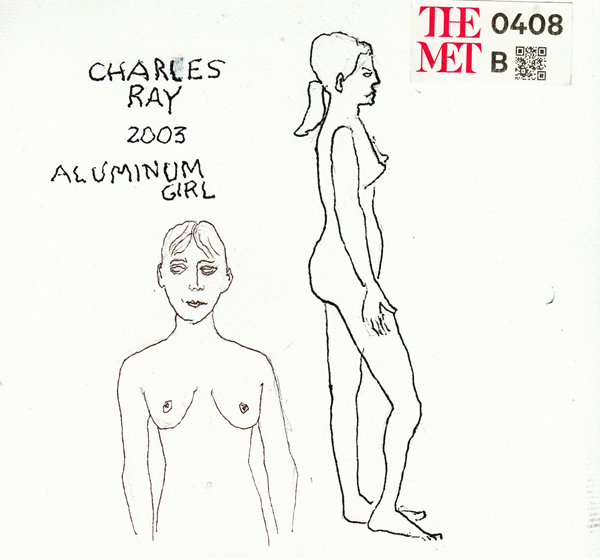 This drawing was done of a life-size figure from the "Like Life Sculpture, Color, and the Body." I sketched standing, holding my sketchbook on my casted arm, and held my pencil with my non-dominant hand. I used a pencil so I could sit down to add ink, with two different pens, and rest my sketchbook on my lap. This was my challenge for this week - all my previous drawings since my fracture were done sitting down. Your lines with your non-dominant hand are getting more confident. Hope you don't need surgery. We are all hoping for the best for you. The drawings continue to reflect your style. Best wishes.